The first concept is just as the name description implies: acknowledging that the future is uncertain. This acknowledgement is why the focus is investing in fundamentally strong companies, as they have a higher probability of coming out ahead of their peers through time. This also lends itself to viewing diversification as a main cornerstone of value investing because it’s still possible for a company or even several companies to fail despite everything good we can see about it at present. You don’t want all of your eggs in one basket when that basket is about to be set on fire. 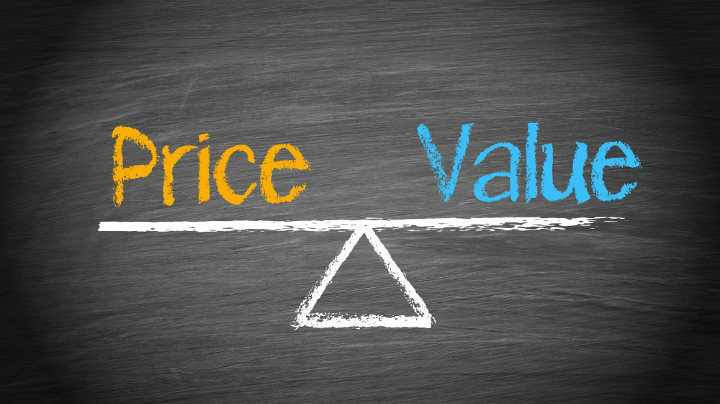 How do you determine if a company is cheap at its current price? In general, this first involves a careful exploration of the company’s financial statements to determine its strengths and weaknesses. Next, together with understanding the current political, economic, social, technological, environmental, and legal landscape (a.k.a. PESTEL analysis), you formulate an assumption of future performance which can be used to come up with an estimate of the company’s intrinsic price; i.e., what it is really worth right now. If the current price is lower than the intrinsic price, the company is then considered “cheap”. Among all of this, one also takes into consideration the product, people, culture and relationship that the company have. Note that this is just one evaluation framework that is used for organizing data. The point is to look at a company from all angles and really understand it from the inside out. That all sounds pretty logical right? Unfortunately the above philosophy is flawed in a major way and is actually a warping of what value investing originally is. Can you tell where the flaw is? Spend a moment to think about it before reading on. As I mention above, a key concept in value investing is that the future is uncertain. Yet, in trying to determine the intrinsic price, one inevitably falls into the trap of trying to predict the future. The basic framework in determining a strong company is the same as finding out the intrinsic price, just that you are aware that you are focusing on the present and not as a leaping board to predict the future. PESTEL analysis is more applicable in another investment approach called macro investing. So with that now ruled out, this is beginning to sound like an impossible problem. How can you determine if a company is cheap if you cannot determine how much it is actually worth? The truth is you do not have to know exactly how much a company is “really worth”, only that it is fundamentally strong. The key is waiting for situations that cause the prices of good companies to go down or remain low through no fault of their own. And only buy good companies then. In other words, buy only when there is a divergence between current and intrinsic price. The second major concept in value investing called Margin of Safety. It starts with an estimate of intrinsic price. And because one is aware that an estimate is just an estimate, you want to buy companies where the current price is much lower than your estimate to be. This difference is what we call the Margin of Safety and the bigger the difference, the better. It ensures that even if your estimation is too optimistic, you are still buying companies that are lower than what they are really worth. Now, I would not say that it is an impossible task to derive a more accurate estimate of a company’s intrinsic value, but just that it is a very difficult skill to acquire and prone to many errors. On the bright side for value investors though, it is comparatively much easier to at least identify situations that cause the current price to diverge from its intrinsic value and profit from it. In a normal functioning market, it’s safe to assume that the current price is very close to the intrinsic price thanks to the wisdom of the crowds (Note that this naturally means that the stock is well followed in a market with diverse participants). In case you have not realized, this also means that when the price of a stock is falling, it is usually falling with good reasons. A low stock price does not automatically equal “cheap to buy”. To give a clear-cut example in truly finding bargain prices, look to broad stock market crashes. When they occur, a lot of opportunities present themselves as you have stock prices falling in response to external circumstances through no fault of the individual stocks’. The stock fundamentals remain largely unchanged. The margin of safety is huge as you are helped by over-reacting humans and herd behavior where the majority of market participants are acting similar and irrational. The concepts underlying value investing are very applicable to short-term trading, it just requires a tweak. Instead of focusing on fundamentals, you focus on “what is driving current trend”. It becomes a way of thinking that helps in successful fade trades, where you fade divergence in price caused by situations that are temporary or of no lasting impact to what’s driving larger sentiment. Although hindsight is 20/20, I’d like to illustrate this with the recent example of the Ukraine situation at the beginning of March 2014. Hopefully, it will give you some guide to how to identify them in real time in the future. The pair chosen is GBP/JPY. GBP was selected because everyone is focused on its favorable outlook, currently just moving in range while waiting for some catalyst, but remains mildly bullish. JPY was selected because it is one of the currencies to play when dealing with risk on/risk off situations, appreciating when risk is off and depreciating when risk is on. The way to play it depends on individual preference, but the basic premise is this: The threat of war and global geopolitical tensions can shock as the headlines come through unexpectedly. This threat will usually drive large risk-off flows (in this case it would mean a stronger JPY). If that threat dissipates or is retracted all together, those risk-off flows will then be repatriated and risk-on takes back over. In this specific scenario, we are basically playing the situation that there is low probability of the crisis escalating any further. If you’ve recognized that the GBPJPY has sold off on a risk-off sentiment directly related to the threat of an escalating crisis, but believe the actual chance of it worsening is low, then you have a great opportunity to buy. As no news of further problems came through, a “no news is good news” mentality struck market participants and allowed the resumption of buying, driving the pair higher and into profits for us. A final tangential note: If anyone has read “The intelligent investor” with commentary by Jason Zweig, there is a recommendation for the ordinary layman to consider buying stock index related ETFs with a dollar cost averaging strategy as a form of investing. I just want to point out that it’s not really value investing even though it’s in a value investing book. You are basically investing in the business cycle of a country. Not a bad way to invest. Just writing it here so that people are aware what exactly they are investing in when they are follow this advice from the book. · Understand that the future is uncertain. · A large part of accepting the uncertainty is always being sure to diversify.